It was nice to learn from Fikri Torros that a new music and choral event is being held at the Bellapais Abbey and that a donation is planned to help the SOS Kindergarden. The details of this event are as follows. 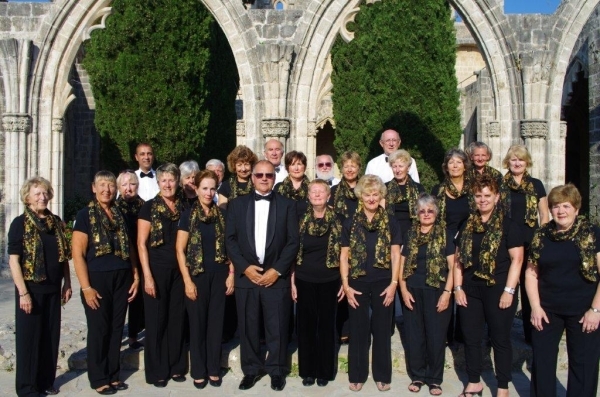 “Kyrenia Chamber Choir, under the Direction of George Ward, will perform a Concert at the Bellapais Abbey on the 5th of October 2012 at 20.30 hrs. The Concert will comprise of three themes, namely “Fugue”, “Water” and a tribute to the “Diamond Jubilee Celebrations of the Queen”. Furthermore, the concert will mark the World Premier of Richard Lambert’s Bassoon Sonata, to be played by Bassoonist Miriam Butler. The Composer of the work will fly out to accompany Miriam on the piano. Tickets are 30 TL and are on sale at Deniz Plaza’s, and the ticket box office at the Abbey. The proceeds from ticket sales will be donated to the SOS Kindergarden, specifically aimed towards their educational needs”.